Being close to your mum is the most amazing relationship you can ever have and wish for. Mother… the most important woman in every daughter’s life. There’s always a special bond between a mother and a daughter. Every daughter and mother can confirm this statement. The bond is strong and special because a woman understands a woman better, no offence to all the dads out there but it’s true. A daughter doesn’t only shares DNA, genetics and molecules with her mother, she shares her anger, pain, happiness and dreams. Mother isn’t only a mother, she’s a daughter’s best friend whom she can rely on. 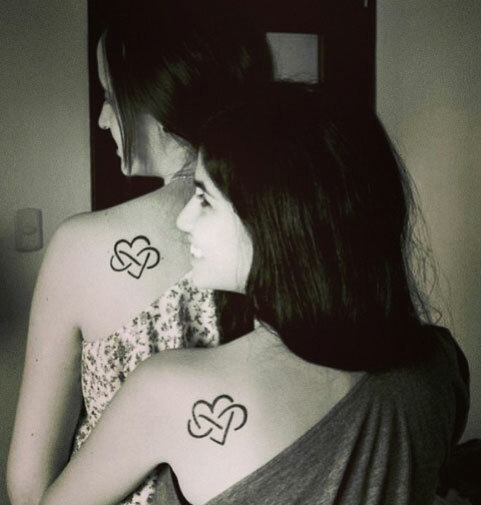 Mother-daughter tattoos can be a way to thank your mother for everything that she has done and to let her know that she plays an important role in your life. 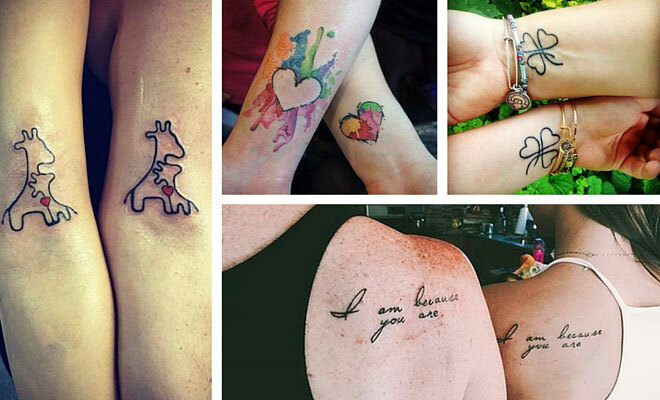 Let the world know how much you care and love your mother, and your mother you, with these beautiful tattoos. 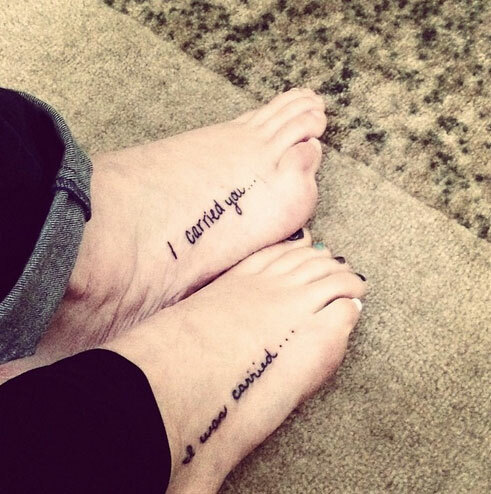 We have come up with 86 of the best mother-daughter tattoos you could get. Enjoy and maybe you could read with your mum/daughter to get a few ideas! Handwriting tattoos look personal and special. Having ‘I love you’ in handwritten font looks stunning, and adds that special touch. Keep the letter all lower case to keep with the theme. 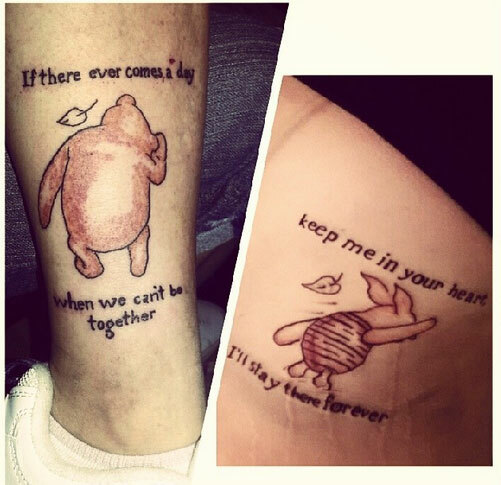 The wrist is a very popular area to get a sentimental tattoo. 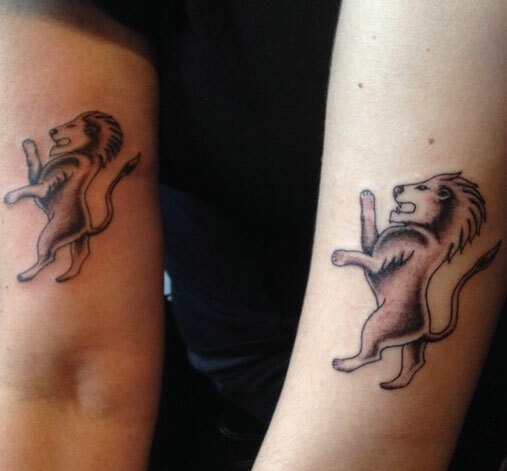 Be brave and bold with a lion tattoo. Matching lions will be a sign of strength and boldness. 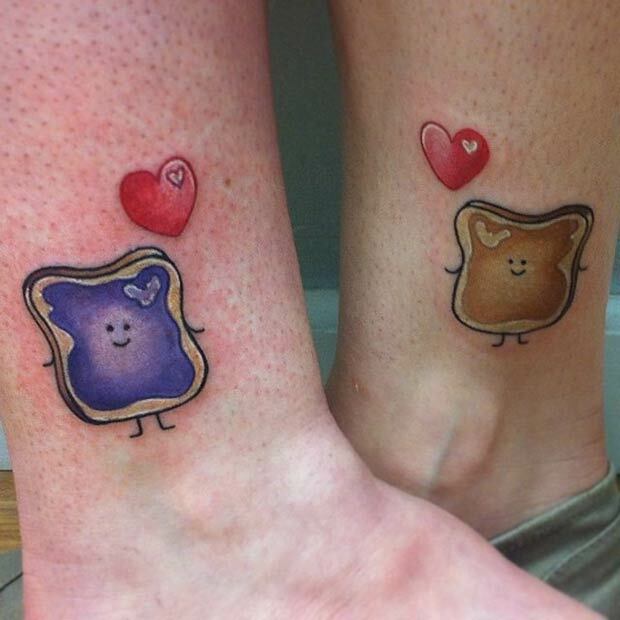 Many mothers and daughters like to stand out and are always fighting each other’s corner, so why not get this striking matching set of tattoos? Heart and infinity are forever. Heart is the symbol for love whilst the infinity means a lifetime. 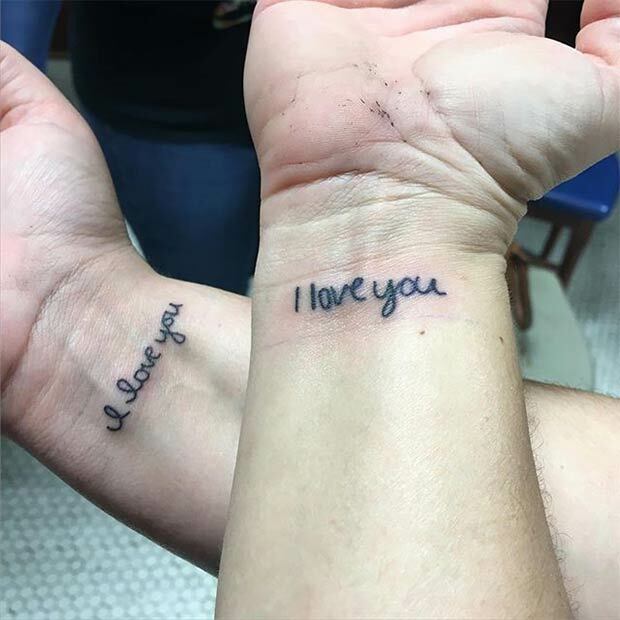 Mother and daughter have the strong bond throughout their whole life and having these matching tattoos, will have a special meaning. It’s peanut butter jelly time guys! Your mother knows you best, and of course, she knows your favourite sandwich! If yours is peanut butter and jelly, this will make it super special. We all know that peanut butter and jelly go together like two peas in a pod. If there ever comes a day when we can’t be together, keep me in your heart I’ll stay there forever. If this doesn’t melt your heart, we don’t know what will! This is an incredible and emotional quote from Winnie the Pooh. Anyone that sees your tattoo will be so jealous! Are you and your mother colourful characters? Maybe you and your mum like colour and are always thinking about the bright side? 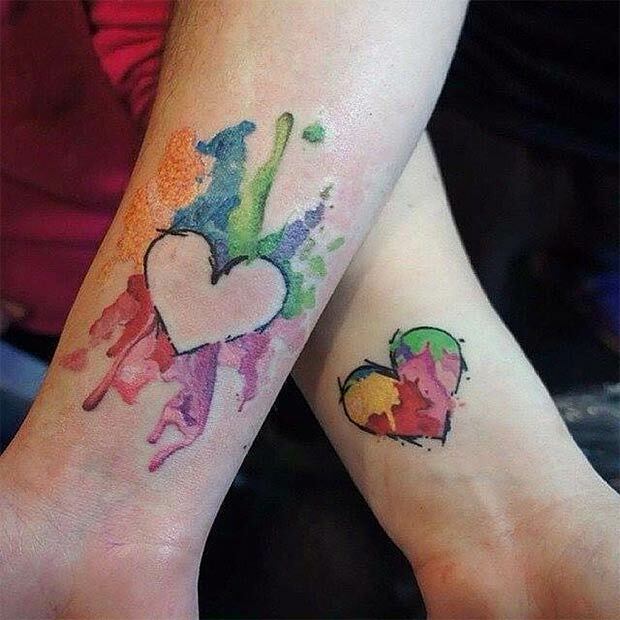 Matching watercolour tattoos are a great thing to have. It shows your quirky and unique side. As the photo shows, you don’t have to have an identical tattoo. Just have the same theme. 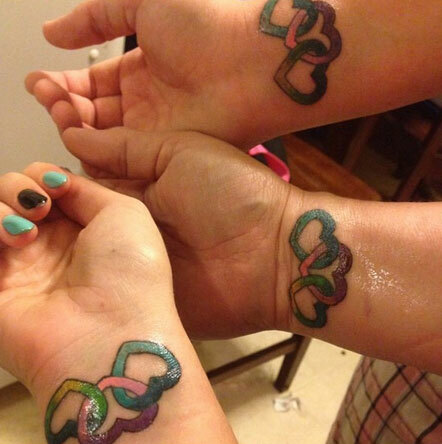 Three colourful hearts is the perfect tattoo for two sisters and mum. It shows you have a joint connection, and the middle heart can represent the mom. Nobody is left out with this design! 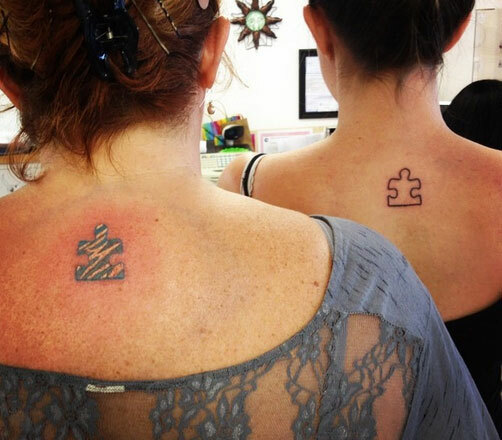 Puzzle tattoos are great to show off with your mum. It shows you are linked and will be forever. Nobody can take away your bond and your love for one another. 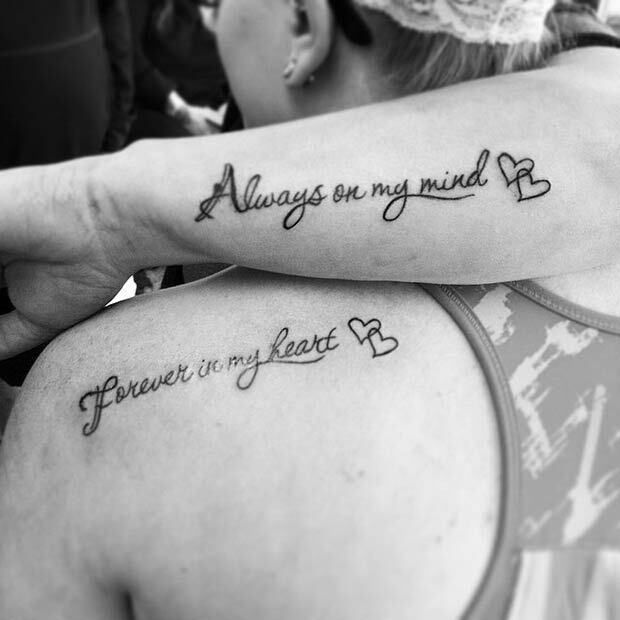 ‘Always on my mind, forever in my heart’ quote can relate to many mothers and daughters. There’s nothing better than having a tattoo that has meaning behind it. This is ideal for all the mothers and daughters out there. Of course, your mum carried you for 9 months and you were of course, carried. This suits mother and daughter down to a T.
Holy crap some of these are so tacky and badly drawn. #16 looks like a child coloured it in. I have to agree with you Harri!